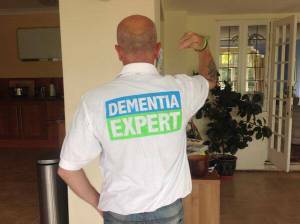 Diagnosed with vs suffering from dementia | Dementia survivor, so far….. There has been a lot of noise on social media and other places about the use of the word ‘sufferer’ in the last few weeks when referring to a person with dementia. Last week, I received a reply by someone willing to change the term to a person diagnosed with dementia, with acceptance and grace. Such a welcome change from most users of this offensive term, respectful and gracious. Interestingly, the people are the most impolite about it, and who refuse to think we actually have no right to be offended by it, when they are not, are journalists and professionals. Not all, for sure, but many. And also family carers, who my husband and I believe are the ones more likely to be suffering than those of us diagnosed with dementia. Previous PostA friends write up about one of my poemsNext PostMy carer ? My driver, my partner, my child !